July 24: Who says government work doesn't pay? Certainly not Centene Corp., the dominant insurer on the ACA exchanges with more than 1 million members. Wall Street watchers predict positive Q2 news. Growth is expected in the company's business in Florida, Maryland, Missouri and Nevada, according to Zacks Investment Research. July 25: It'll be a busy hump day with three of the industry's heavyweights releasing their Q2 earnings—Anthem, HCA and Universal Health Services. Jefferies Financial Group last week raised its earnings per share estimate for Anthem to $4.12, up from $3.98. Anthem reported net income of $1.3 billion in Q1 on revenue of $22.5 billion. Zacks predicted that for-profit hospital chain HCA will report continued revenue growth in Q2. 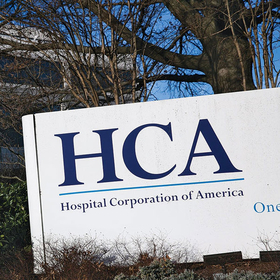 In the first quarter, HCA saw a 74% bump in net income and revenue rose 7.5%. The Nashville-based hospital chain saw increases in both admissions and urgent-care visits in Q1. UHS, which releases results after the markets close and holds its investor call on July 26, saw revenue at acute-care hospitals increase 3.7% in Q1, falling below some analysts' expectations. July 26: We interrupt earnings season for a D.C. update. The House Energy and Commerce Health Subcommittee will delve into the much-maligned MIPS program during an oversight hearing. July 26: Back to business news. Community Health Systems releases its Q2 results when the markets close. The Franklin, Tenn.-based chain continues to try to find its financial footing. It divested 30 hospitals in 2017 and brought its long-term debt down to $13.6 billion using debt exchanges. July 27: During his Q1 investor call, LifePoint CEO Bill Carpenter said the company continues to forecast flat volumes in 2018, but it will nonetheless forge ahead with goals of driving margin improvement across hospitals, managing costs in a tough volume environment and returning capital to shareholders. We'll see how those plans are going when the Brentwood, Tenn.-based hospital chain releases Q2 results before the markets open.